Director Paul Feig's epic buddy cop comedy The Heat, starring Sandra Bullock and Melissa McCarthy, is available on Digital HD today in a special Unrated cut! 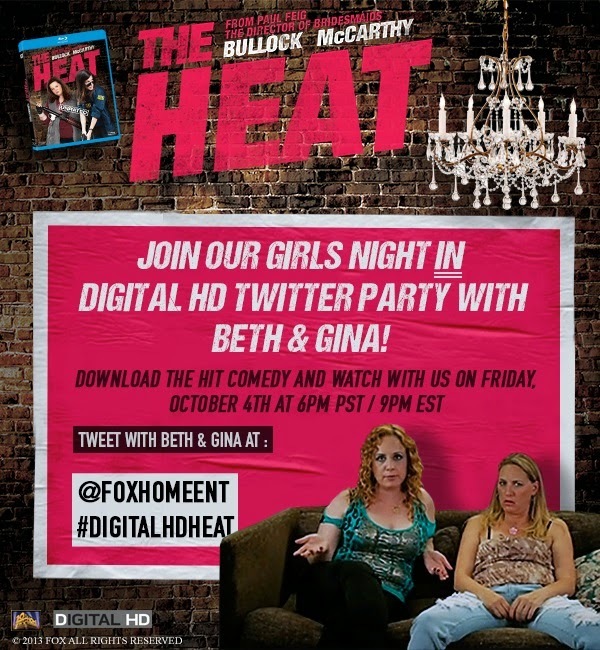 Download The Heat on Digital HD and join the online screening party on Friday at 6 p.m. PST//9 p.m. EST! Tweet with co-stars Jamie Denbo & Jessica Chaffin (Beth & Gina in the film) using hashtag #DigitalHDHeat.